Add some exotic charm to your kitchen or entertaining area. 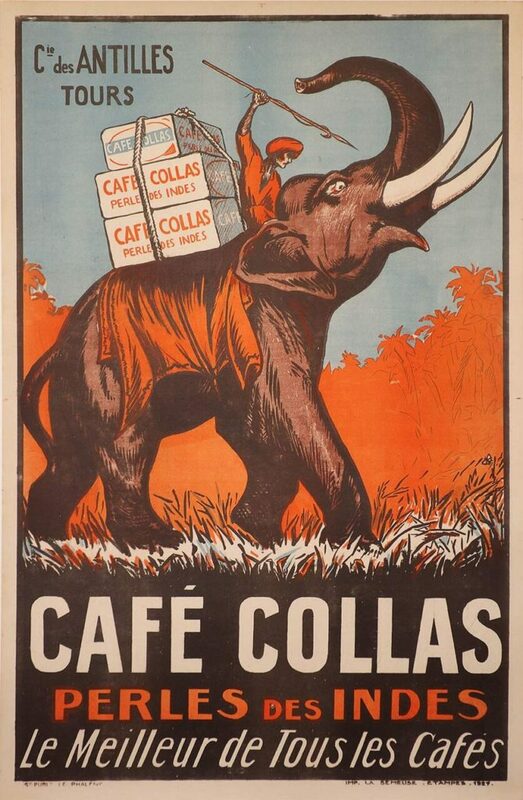 This poster has all the big tickets; French lithography, coffee, jungle, adventure, and an ELEPHANT! With an easy color palette and romantic subject, this poster is a fun addition to any place you see guests.